Finland is a country often overshadowed in rock music terms by its Scandinavian neighbours Norway and Sweden but there is a wealth of talent in this sparsely populated land that is well worth taking the time to search out and discover. 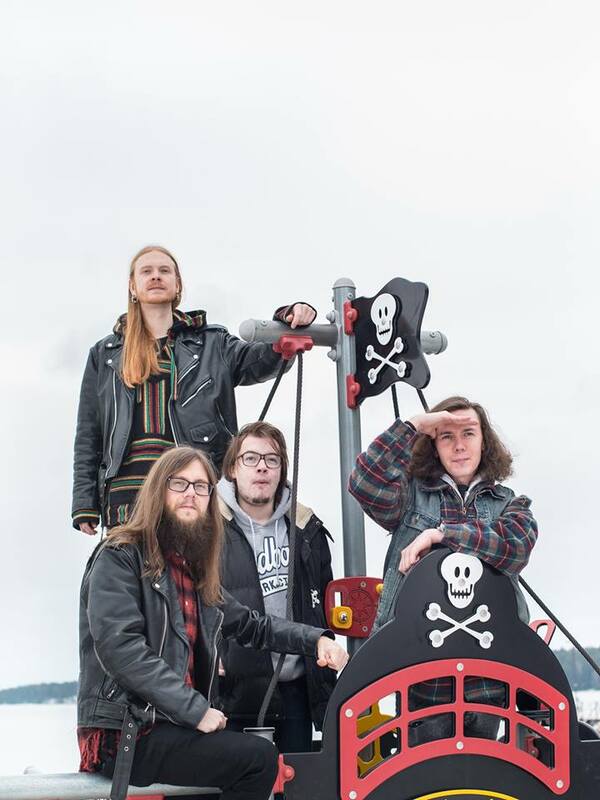 One of these bands worth checking out is I, Captain a four piece bluesy psych'n'roll band from the south-western coastal city Turku. 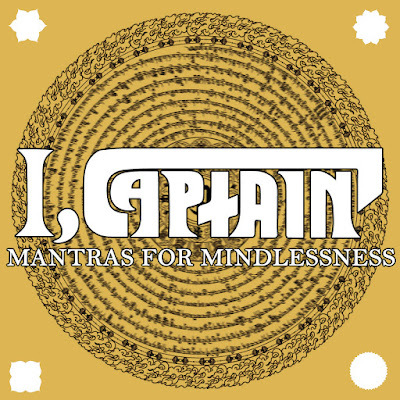 I, Captain, Axel V- Vocals, bass, Viktor Ö - Drums, Andreas Ö - Guitar and Lukas Å - Guitar, have, hot on the heels of their stunning debut EP " Surf The Supernova", just released a three song follow up EP "Mantras For Mindlessness"
First track "Mantra" opens with dissonant chordal shards, spatial arpeggios and thrumming droned effects echoing back and forth in controlled floydian randomness before the band pull it all together and fall into a warmly fuzzed and heavily hazy riff. The songs groove is essentially rooted in the blues but the sound these guys create around that groove is barely recognisable from what most of us would consider a blues song. The two guitar attack of Andreas Ö and Lukas Å combine together to create a mellow heaviness that recalls the heady psychedelics of Canada's late Quest For Fire, and this, together with Viktor Ö's solid busy drum work and Axel V's fluid bass lines and slightly shoegaze mellow vocals, all makes for a stunning opening number. "Stugon Pt. 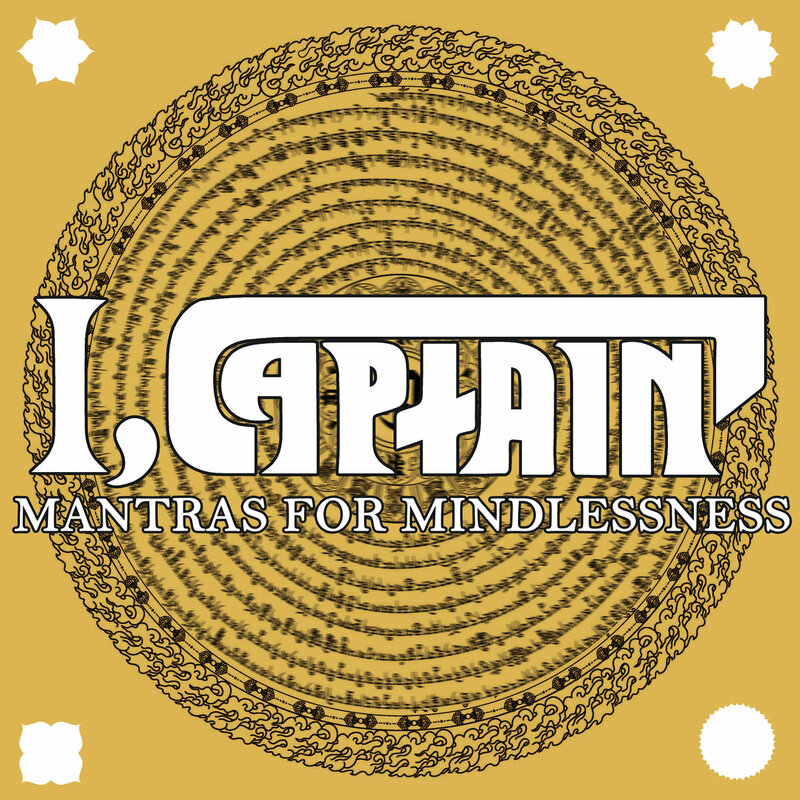 II" enters on a tidal surge of controlled feedback then rides a wave of heavy lysergic doominess in which guitars swirl and crunch in equal measure. Axel V's vocal sits comfortably within this groove his tone sitting somewhere between that of a young Roger Walters (Pink Floyd) and the aforementioned Quest For Fire's Chad Ross, his clean but mellow voice a perfect foil to the maelstrom going on around it. There is hardly time to catch your breath before the Sabbath groove of "Care" explodes from the speakers. The vibe here is more hard/stoner/desert than the previous two tracks and benefits from a more urgent garage feel that is driven hard by Viktor Ö's powerhouse drumming and Axel V's booming bass. V's vocals, double tracked and dripping with reverb, are superb and rip through Andreas Ö's and Lukas Å's insistent chainsaw riffage, like a quiet storm. 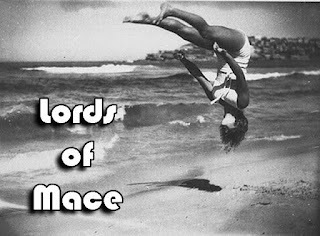 At just over the three minute mark the song shifts into a psych drenched instrumental that sees the four musicians firing all cylinders taking the song to its conclusion on a thrilling rollercoaster ride of lysergic musical madness. 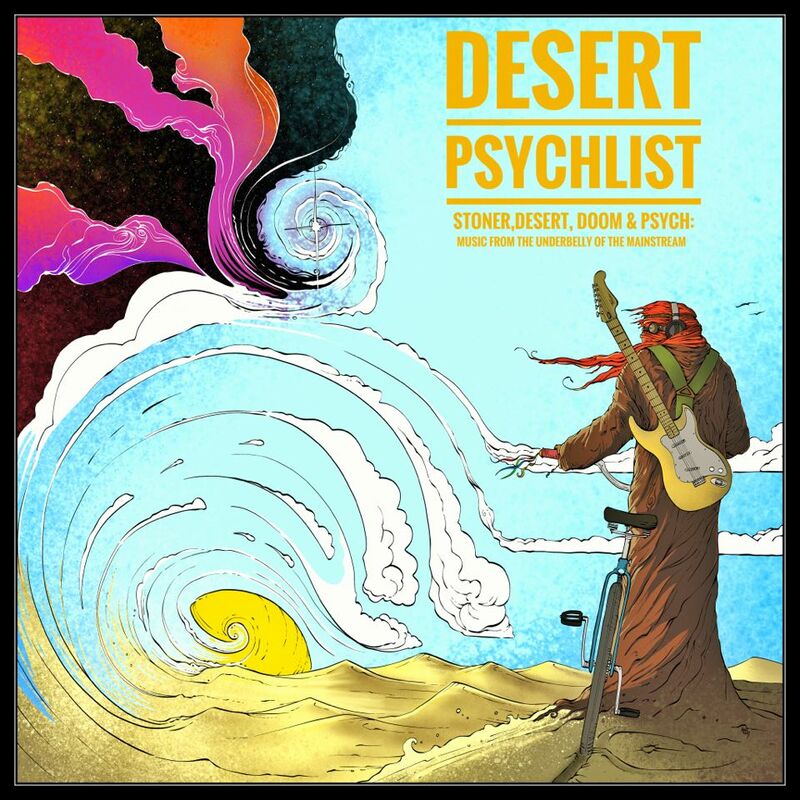 Guitarist Andreas Ö recently informed Desert Psychlist that the band were looking for a record label deal in the hope of releasing a full length album. Here's hoping they are successful in that search but if, god forbid, that never happens at least we still have two wonderful EP's! Lords of Mace hail from Winston-Salem, North Carolina, and salt their particular brand of southern fried boogie with a touch of doomy sludge and gritty stoner. The quintet of Mike Blankenship - Bass, Michael Bright - Vocals, Jason Myers - Guitar, Vocals, Bobby Roberts - Drums and Matt Smith - Guitar, Vocals have just released a five track debut EP via Bandcamp. "Homeward Angel" wastes no time in establishing its "southern" credentials, bursting from the speakers with a red hot stuttering and fuzzed to the max riff full of catchy hooks, addictive licks and strutting a ton of bluesy swagger. Michael Bright delivers slightly clichéd but highly enjoyable lyrics about "Calling me the Breeze" with throaty dark whiskey ravaged tones over solid swinging rhythms. "Better Off" slows the pace down with the band locking into a fuzz laden doom-lite groove. The songs Sabbathian vibe sees Myers and Smith laying down Iommi type powerchords around Bright's, ever so un-Ozzy, raw throaty gargled vocal while Blankenship's bass holds down the bottom end locking in tight with Roberts solid unfussy drumming. ,"Cherokee Casino" raises the temperature somewhat by employing an infectious rolling riff that just burrows its way into your memory and stays there and is further enhanced by some seriously good psyched out guitar parts. Blackenship is a dominant force throughout, his heavily distorted bass tone anchoring the groove and giving the other musicians and the vocalist a massive hook to hang their performances on. "Rain" erupts into life with a swamp thick sludge groove over which Bright roars like a bear with a toothache, filling the songs verses with gnarly, grizzled menace then delivering the infectious sing-a-long chorus like a lay preacher from his pulpit. Around this vocal tour de force the guitars lay down slabs of molten fuzz and scorching solos all backed up by a whirlwind of rhythmic pulses. "The Race" closes the EP with a deliciously seductive southern flecked and stonerized blues shuffle. Bright employs a slightly less abrasive tone here over a groove that sees the two guitarists trading off, the two guitar tones at odds yet perfectly complimenting each other as they take it to the final note. 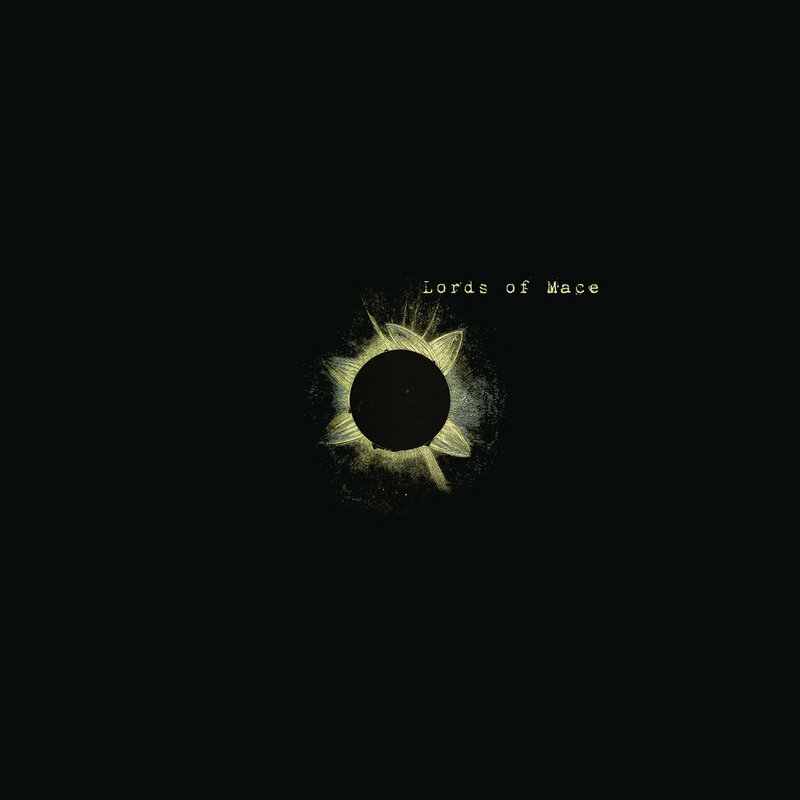 Lords of Mace have, with this their debut EP, created a sound that takes a little grainy desert/stoner grit stirs in a little southern fried blues and seasons with a large pinch of doom and metal resulting in a dish that should appeal to fans from all areas of the metal/rock underground. 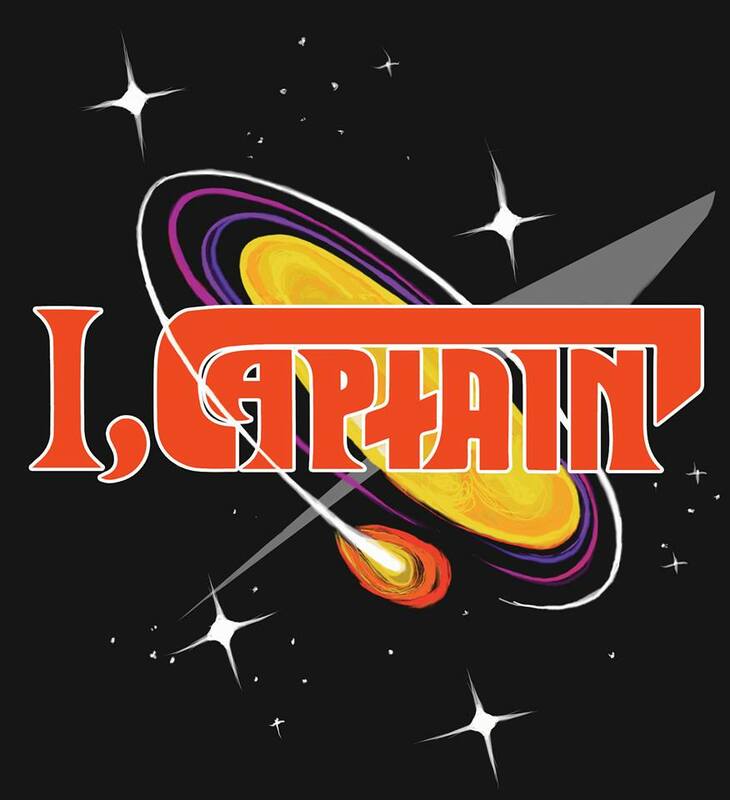 Merlin, Carter Lewis - Guitars, Backing Vocals, Keys, Caleb Wyels - Percussions, Jordan Knorr - Vocals and Joey Hamm - Bass, first come to my attention via a recommendation from a friend who insisted I check out their album "Christ Killer". What I heard that day was a mix of everything I loved about the underground rock scene condensed into one conceptual piece. Intense and at times quite chilling its genre skipping grooves heralded the rise of a band who were not going to be defined by tags and labels. 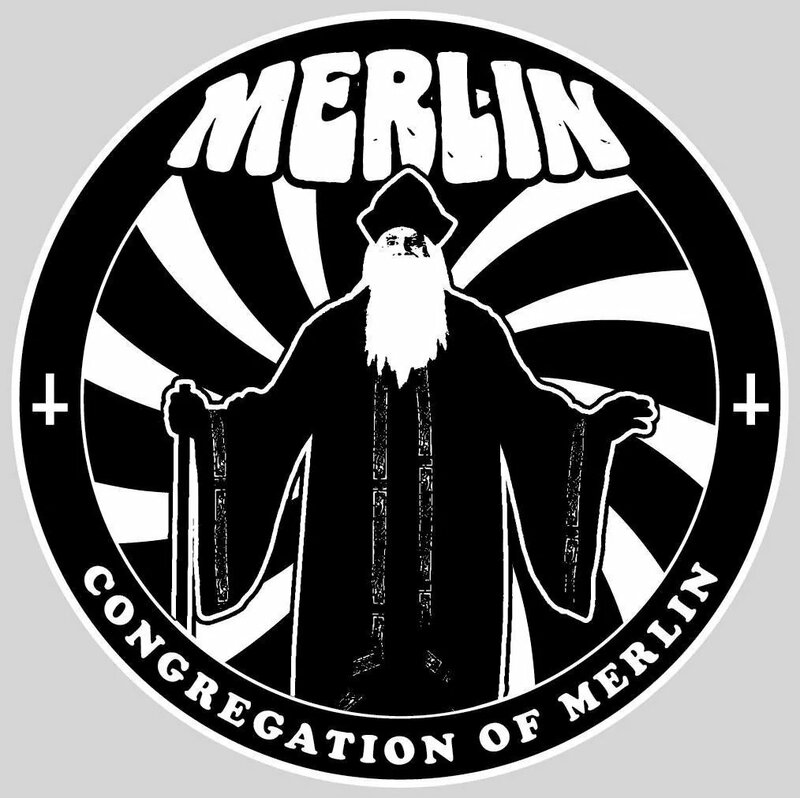 Two years later and with the heavy weight of expectation sitting on their shoulders Merlin finally delivered a follow up to that iconic album with 2016's "Electric Children". First track "Bad Trip" opens with a thin sounding tinkling bell chiming over a droned effect and a lightly amped guitar riff before exploding into a maelstrom of heavy riffage and throbbing rhythm. Knorr's vocals erupt from this dark barrage telling a tale of being down "among the skulls and worms", his voice clean, powerful and edged with a slightly sneered gothic tone, a tone perfectly suited to the bands horror/ B movie inspired sonic assault . The track stays true to its lysergic theme by finishing in an acid drenched jam full of swirling keys, pedal effected guitar, fluid, thrumming bass lines and earth shaking percussion. Only 2;58 seconds long it is nevertheless spine-tingling and stunning stuff and its only track one! 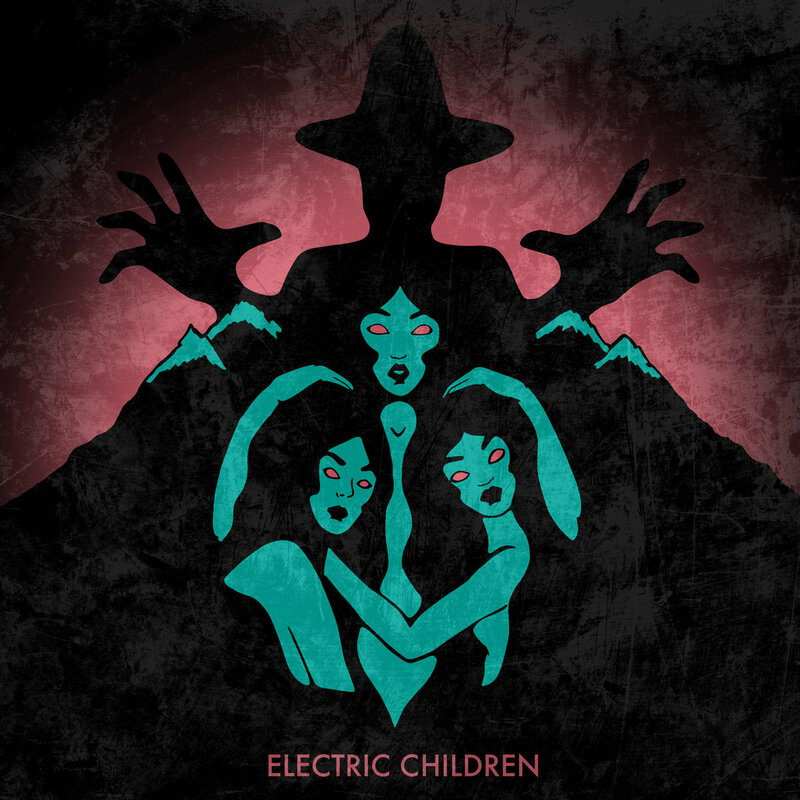 Second and title track "Electric Children" lyrically portrays a Village of the Damned/Children of the Corn type nightmare vision with Knorr taking on the role of puppet master/guru singing lines such as "I will show you the truth, I will guide you home" imploring his Electric Children to "hang them on the noose". Around this scenario of parricide/genocide and control the band weave a web of proto-metal and doom grooves that sees Lewis throwing down some seriously impressive lead guitar shapes over a backdrop of solid rhythm work from Hamm and Wyels. "Will 'o' the Wisp" begins with moody atmospherics then moves slowly into a doomy psych drenched groove that is totally dominated by Hamm's bone shaking bass and Wyles pounding drums. Lewis adds to this whirlwind of sound slabs of chordal colouring and effect laden solo's as well as sharing vocal duties with Knorr. "Night Creep" a song that uses a serial killer as its principal character. The song rolls along on a slightly punk-ish groove embellished with dual vocals and a totally and ridiculously addictive sing-along chorus, it then takes a left turn into a delicious psychedelic wig out with Hamm and Wyels laying down a super charged groove for Lewis to paint psych drenched guitar strokes over. "War Bringer" blends Sabbath-esque proto metal with elements of its more new wave 80's leather clad cousin against a mixture of clean demonic and punky aggressive vocals. The track moves through a series of differing dynamics all driven by Hamm and Wyels' almost telepathic rhythmic understanding and coated with Lewis's undeniably adept guitar skills. "Tales of the Wasteland" is made up of three suits "Gunslingers Blues", "Lords of the Wasteland" and "The Dragonaut Returns" the first part is essentially a lament to the disastrous aftermath and consequences of war. Lewis weaves tasteful minor pentatonic blues soaked solo's over and around Knorr's impassioned and weary vocal. His guitar swirls, swoops and soars against Hamm's and Wyels' funereal rhythmic backdrop, bucketful's of emotion and feel dripping from his fretboard. The second part raises the tempo and moves away from the emotional and into the devotional. Lewis, Hamm and Wyels lay down an eastern themed groove around a chanted mantra embellished with occasional keyboard flourishes and guitar motifs, like a Whirling Dervish it spins around in a glorious controlled frenzy until it can spin no more and slowly subsides to make for way for suite three. The third and final movement finds the band back in acid rock territory with the band blending Floydian psychedelic textures with Sleep- like rhythmic bluster, a direction that that those who are familiar with Pink Floyd's "Nile Song" will absolutely love. The Floydian theme is continued in Knorr's vocal performance, he adopts a slightly Syd Barrett type tone and delivery that perfectly fits with the groove the band are striving to create.The song shifts dynamics in the last quarter morphing into an exquisite lysergic jam, Lewis's guitar swirling around a backdrop of droning bass lines, solid pounding drums , sweet flute and jagged keys and finally finishing with the tinkling bell that started us out on this journey. 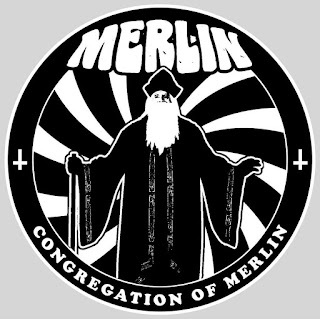 It's fairly obvious that Merlin take a lot of their influences from the world of cinema especially the horror,sci-fi genres. If I was forced to describe "Electric Children" to someone who has never encountered Merlin before then I would have to say this is the best film your ever likely to HEAR! 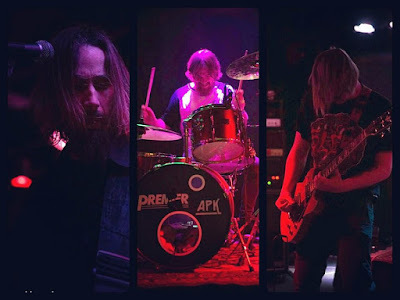 It has been a bit of a rollercoaster ride for Youngblood Supercult since the 2014 release of their debut album "Season of the Witch", the band lost their original vocalist, then recruited another only to have their bassist jump ship, luckily the new vocalist also played bass and so stepped up to take on both duties. The current line up of Bailey Smith--guitar, Weston Alford--drums and David Merrill--vocals/bass have managed to come through all this turmoil and recently released a follow up to "Season of the Witch" in the shape of "High Plains". Second track "Monolith" begins with a throbbing heavy blues riff that would not have sounded out of place on a Free album, when Merrill's vocals enter his tone is clean ,echoed and slightly mournful, his voice floating sweetly above the, now, hand muted riff beneath him. At just over the halfway mark the dynamic shifts into a heaving classic rock groove that recalls the heavier parts of Mountain's "Nantucket Sleighride", Merril and Alford laying down a hard'n'heavy rhythmic pulse into which Smith injects a smouldering blues drenched solo before rejoining the riff to take the song to its conclusion..
"Nomad" jams a slightly more stoner groove over which Merrill sings about "Ramblin' from town to town" and "Never settling down" against a backdrop of heavy fuzzed guitars and pounding drums. The theme is a bit of an old blues cliche but when given the Youngblood Suprercult treatment sounds fresh, vibrant and contemporary. "Before The Dawn" begins with a Merrill bass line and then his lone voice singing the first verse, Alford then slams the hammer down and Smith joins Merrill in the riff with Smith throwing in little licks and curls to keep things interesting. 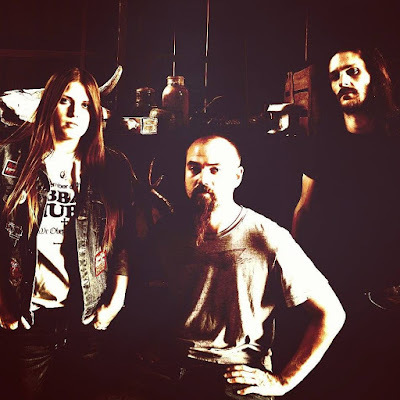 The song shifts dynamically between bluesy hard rock and Sabbath -like doom with Merrill mixing it up vocally between clean, mellow and clean, gritty, and pulling both off perfectly. "Mind Control" is up next with the trio jamming on a riff that borrows heavily from Deep Purple's "Mistreated". whether this is intentional or not the groove created works superbly well and is a superb vehicle for Merrill's vocals. In the songs final quarter the band fall into another Sabbath-esqe groove that sees Alford and Merrill keeping it tight and economical while Smith peels of furious Iommi inspired solo's from her fretboard. "White Nights" begins with slightly acid folk undertones before exploding into a lysergic mish-mash of heavy riffage and psychedelic madness that is underpinned the whole way through by Alford's exceptionally dexterous and utterly superb percussion work. "Hell Hath No Fury" kicks off with a circular riff that then drops into a chugging blues/stoner progression behind the verses. Merrill delivers another faultless vocal as well a laying down some gnarly bass, locking in tight with Alford's drums, the pair putting down a jagged, edgy full blooded groove that, in the songs final quarter, allows Smith free reign to rip another burning solo, shredding a myriad of notes from her six strings until the song fades into silence. "Forefather" spins a tale of disappointment and regret against a backdrop of doomy and atmospheric fuzz drenched blues grooves. Merrill sings of a man " Held under a slave-driver’s thumb, Couldm't muster the strength to run" with a mellow and slightly monotone delivery adding a feeling of weary resignation and detachment to the songs lyrical storyline. Mid-song the trio take it into more traditional blues rock country with Smith delivering a stunningly beautiful guitar solo, blues drenched notes dripping from her fingers, channelling the spirits of heavy blues maestros Clapton, Page and Green through her choice of notes and delivery before the trio return to the songs root for the final quarter. "Black Hawk" sees the band putting the pedal to the metal with a super-charged bluesy rocker. Alford lays down a mighty wall of percussion over which Smith's guitar and Merrill's bass combine as one to deliver a thunderous hard rock groove that is further enhanced by Merrill's grittier vocal and Smith's tasteful lead work. "Acid Tongue" maintains the pace and intensity of the previous track but inject a little hazy lysergic funkiness into proceedings. Superb vocals float over a backdrop of choppy riffage and powerhouse percussion punctuated by scintillating guitar solo's all ending with a mighty percussive bang! "Down 75" closes the album with a wonderfully played but far too short acoustic number, Merrill crooning of "empty streets and tumbleweed" as Smith shows she's as adept with an acoustic guitar as she is with the electric version. It's a lovely piece that's part country blues, part Americana and a whole lot beautiful. 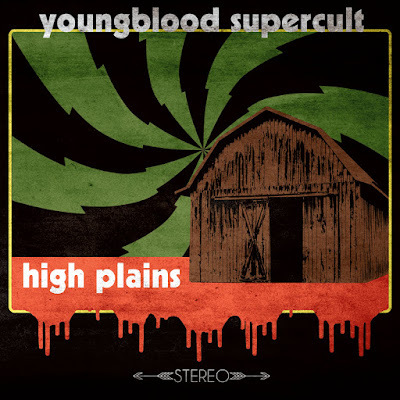 Youngblood Supercult are essentially a blues rock band but to just label them as such would be an injustice. This band have put their own spin on the blues adding to the genre elements of psych, doom, stoner and classic rock and shaking all these parts up in one big cocktail of musical excellence. 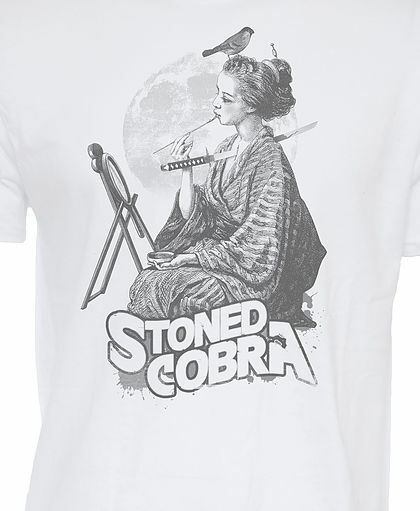 The first time I came across Stoned Cobra was back in 2013 when the band released their debut album "High and Mighty". I was, going by the fact they came from Birmingham, Alabama and that I am English and never been to the USA, expecting to hear some sort of mash up of southern metal and country rock laced with "good ole boy" drawled vocals, I was, however, pleasantly surprised to discover an album full of warmly fuzzed desert grooves blended with touches of shimmering psych and classic metal coated in melodic vocal tones and harmonies. 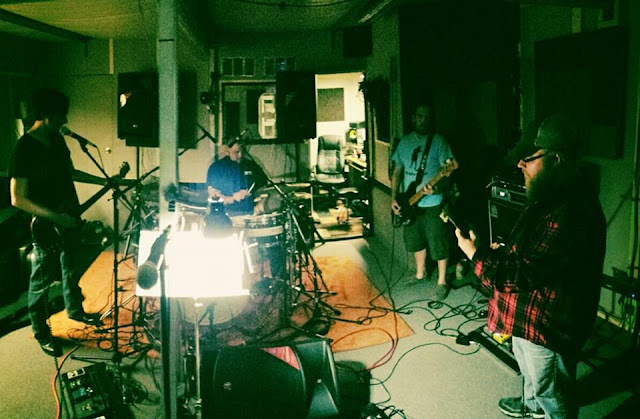 In March, this year (2016), the band, Isley: Vocals/Guitar, Krothe: Guitar/Vocals, Wahl: Guitar, Light: Bass and Reed: Drums, reconvened in the studio to lay down tracks for their latest EP "Armed and Hammered". "Armed and Hammered" pretty much picks up from where "High & Mighty" left off in terms of quality and musical content except this time around the band seem to have focused a little more on arrangement and song structure, the songs, on this EP, sounding more rounded and filled out than those that can be found on their debut. "Caskets" is first up and sets the tone for the rest of the EP with a crunchy stoner/desert riff supported by crashing percussion and throbbing bass lines. Clean, melodic vocals weave themselves over and around these sandy grooves, sitting atop the fuzz drenched riffage like cream on the edge of a razorblade. "End of Daze" enters on a fuzzed out, heavily distorted riff that is gradually joined by the rest of the band. 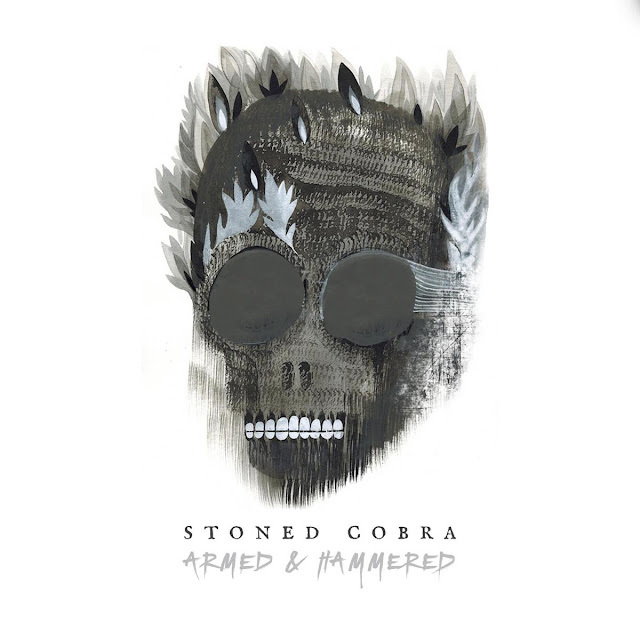 As with the previous track the groove is essentially stoner/desert, full of delicious hooks and catches and coated with superb vocals, but it is when the song reaches its psych drenched middle section that Stoned Cobra's three pronged guitar attack really comes into it's own. The three six-stringers weave differing tones and effects over and around each other evoking from their fretboards sonic rainbows of colour and texture under which droning distorted bass and intricate drums slowly push the tempo back into the main riff and the vocal. Stunning! "Dead by Dawn" employs a catchy circular galloping almost nwobhm riff to announce its arrival. A little less desert and a little more metal than what has gone before the track nevertheless retains enough sand in its grooves to please the Kyuss/QOTSA obsessives out there well as those that might enjoy a little Iron Maiden metallic sheen. "Hightower" throws a little bluesy swagger into the proceedings, a chugging, choppy and ridiculously addictive riff sits beneath the excellently voiced verses then explodes like a volcano between them. While the bass and drums hold down the bottom end the guitars come at you from all angles riffing, soloing, swirling and swooping around the rhythmic thunder below. As the last note fades into silence you can feel the hairs on the back of your neck relax and fall back into place. "Devil's Due " brings things to a close with a gentle acoustic stroll through the clouds. Beautifully finger picked acoustic guitar is the base over which creamy smooth, fragile vocals, both solo and harmonised, are delivered. Dreamy, delightful and delicious it might not have been everyone's choice for a finale and there could be an argument that it might have benefited better from a mid EP placing but it is nevertheless a wonderful piece that shows that there is more to Stoned Cobra than first meets the eye (or ear). 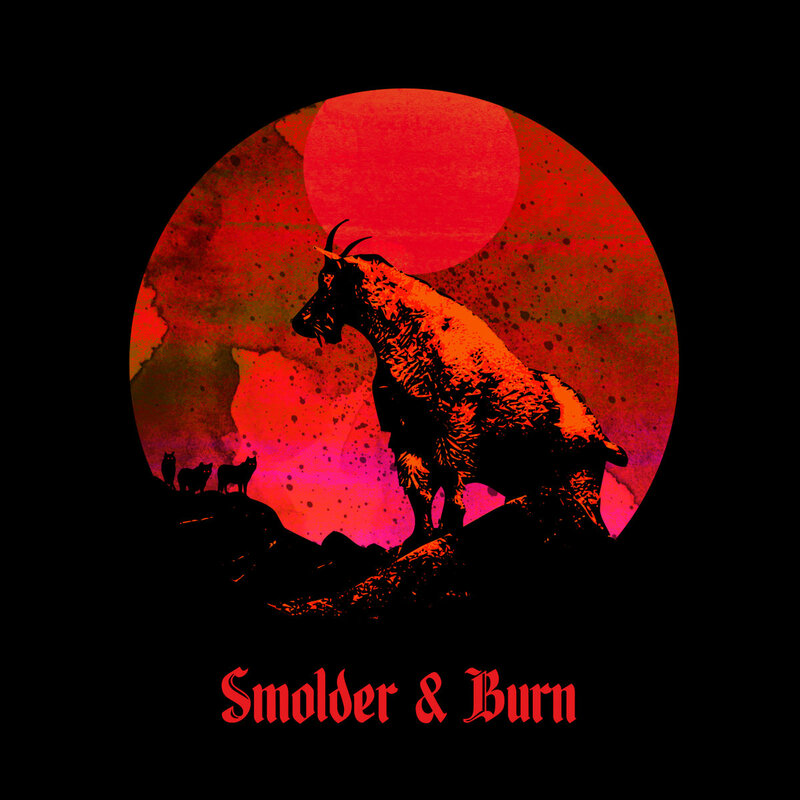 SMOLDER & BURN ~ DEBUT EP .....review. Hailing from Denver, Colorado you would expect the sound Smolder & Burn to create would, like the state they come from,.be mountainous! Fortunately this IS the case and the five piece band, made up of members of Low... Gravity, Luna Sol, Chingaso, and Insomniaxe, have released a self-titled EP to prove that fact. "Motorheadache" kicks the EP off in a whirlwind of warmly fuzzed thick riffage married to powerful, explosive rhythms. The fuzz drenched, downtuned guitars of Pat Devlin and Jess Ellis chop out chunky slabs of chordal mayhem pushed further into the red by Chad Roth's gnarly throbbing bass and Marc Brooks powerhouse drumming. Over this wall of distortion Chris Chango delivers a vocal that is both powerful and, given the music's sludge/stoner root, surprisingly clean. The song swings between an almost thrash like tempo on the verses and a slower doom/sludge groove on the chorus, switching between the two dynamics with seamless ease. The song is a superb introduction into what Smolder & Burn's groove is all about. "Master of None" begins with a lone guitar jamming a chugging infectious riff that is then joined by intricate percussion and bass, a second effect soaked guitar then joins the fray before the hammer goes down and the amps go into overdrive. Chango's vocal soars and swoops over this wall of fuzz and fury his tone a mixture of classic metal power and stoner rock grittiness. Catchy as a cold and loaded with enough hooks to fill a cloakroom this will please both the fuzz loving stoners and the downtuned worshiping doomers out there. "Mastodonnyosmond" injects a little psych colouring into proceedings amidst a sea of fuzz pedal drenched power chords. I have no idea what the songs title has to do with the actual lyrics but they are nevertheless delivered with conviction and passion against a backdrop of huge guitar riffage and bigger rhythms. The songs vocal refrain of "Wanting, waiting, dying, bleeding" will be going around in the listeners head long after the song fades although I can't confirm that this will be the case if that listeners name is Donny and he has a clutch of musical brothers and strangely attractive sister, but then again you never know! "Tides of War" closes the Ep with ten minutes plus of epic stoner doom. Devlin and Ellis serve up a smorgasbord of heavy riffage, dark licks, psychedelic motifs and solo's around which Roth's bass weaves dark boneshaking bass lines and Brooks drums drive solid tight rhythmic pulses. Chango's vocals take on a grittier, throatier tone that fit to the songs shifting dynamics like a hand in a velvet glove and add a doomy gravitas to the songs already dark brooding atmospherics. Huge, epic and magnificent it serves as a fitting finale to a very impressive debut from a very talented band. It was said in ancient times that all roads led to Rome but these days when it comes to the "underground" rock scene it seems that all those roads will eventually lead to Sweden. 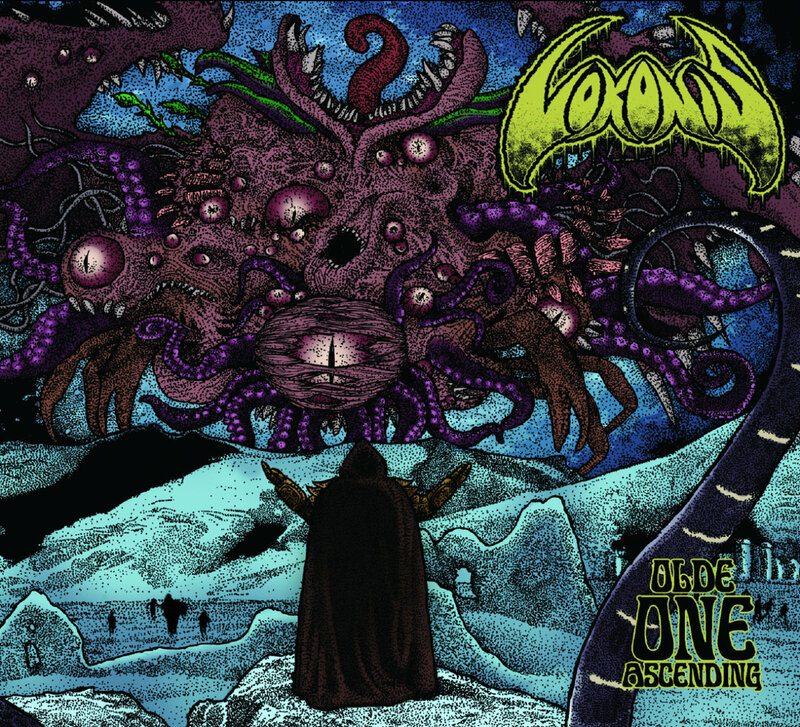 Vokonis, a trio from Borås, Sweden, consisting of Jonte Johansson: bass, backing vocals.Emil Larsson: drums and Simon Ohlsson: vocals, guitars, are the latest in a long line of Swedish rock bands searching for recognition outside of their native country, a search that will surely reap dividends if their debut album "Olde One Ascending" is anything to go by. "The Serpent's Alive" begins with Larsson counting the song in, his crashing percussion heralding the start of another titanic riff. Ohlsson sings of "Serpents infesting your mind" while at the same time crunching out massive dark power chords laced with evil distortion and warm fuzz. Johansson's bass weaves in around these chords like the serpent in the songs title his bass complimenting and at times leading the riffs, Ohlsson then injects into this maelstrom a solo that is almost at odds with the raucous noise surrounding him, ripping sweet, almost, bluesy notes from his sweat drenched frets, soaring and swooping around the Sleep - like rhythms beneath him before slamming back into the songs main riff.and resuming his vocal. As the last note fades into the distance you have just enough time to catch your breath before we are off again..
"Acid Pilgrim" again draws Sleep comparisons with it's mid-paced, almost plodding, tempo. Lyrically we are back in Lovecraft territory with Ohlsson vocalising a paeon to the "Olde One". against a backdrop of throbbing bass and thunderous drumming that is broken intermittently by Ohlsson's catchy swirling guitar lick. At the 3:50 minute mark the tempo shifts into overdrive with Larsson and Johansson driving the groove from beneath while Ohlsson channels his inner guitar hero with a blistering guitar solo. 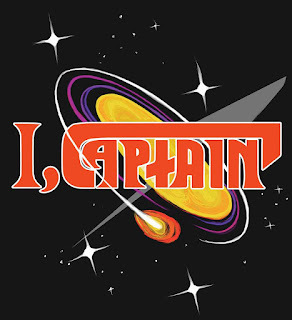 "Shroomblade" enters on a wave of fuzz and distortion, the band jamming a slightly classic rock groove driven by Johansson's gnarly bass and Larsson's industrious drumming. Ohlsson's bellowed vocals then enter roaring the songs sparse but effective lyrics, The dynamic then shifts into a slighty jazzy mid-section, and a chance for the individual members to flex their musical muscles. Ohlsson rips another of his scorching Iommi influenced solo's from his six strings but it is Johansson's short but fluid bass solo that really catches the ear while underneath Larsson keeps the groove swinging channelling the spirit of the great Bill Ward with his jazzy chops. This is just a brief interlude and it's not long before the hammer goes down and we are back in stoner doom territory again. "King Vokonis Plague" opens with a slightly odd lolloping riff that's not sure if its Sleep or Sabbath so ends up being pure Vokonis. A little more primal than previous tracks it trades heavily on its main riff and apart from another superb Ohlsson solo does not deviate far from its original starting point. 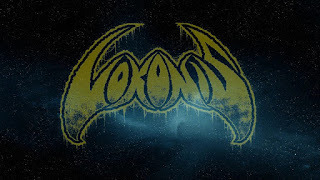 It is for me the weakest track on the album but having said that a Volkonis weak track is better than some bands best ones..
"Hazmat the Ashen Rider" closes the album in fine style with the band firing on all cylinders, a bottom end heavy riff circling around Ohlsson's passionately bellowed and slightly monotone vocals. Around the half way mark Johansson and Larsson subtly shift gears into a slightly Eastern themed desert groove allowing Ohlsson space to peel off another of his furious solos, tone perfect notes oozing from his fingers. The band then return to the main riff and vocal before taking the song to its conclusion with a Sabbath meets Status Quo blues rock outro. Awesome stuff! 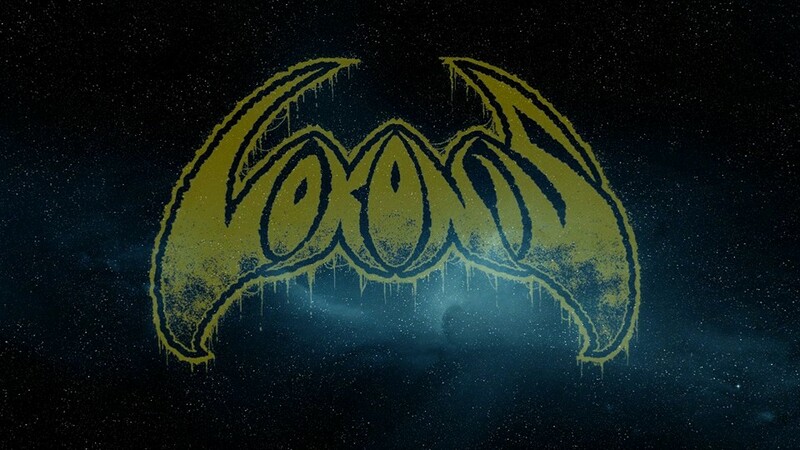 There is no hiding from the fact that Vokonis owe a huge debt to the monolithic grooves of both Sabbath and Sleep, taking the dark riff heavy desert/doom of the former and mixing it with the more traditional hard rock/metal of the latter, but they twist and weave these elements into a sonic tapestry that is completely and wholly their own.